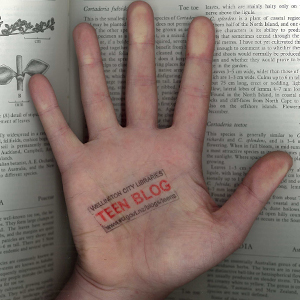 Here are some new titles we’ve ordered recently for the YA collection. Dancer, Daughter, Traitor, Spy, Elizabeth Kiem (September) – ballet, spies and a bit of the supernatural come together in this gripping-sounding novel. “Marina is born of privilege. Her mother, Sveta, is the Soviet Union’s prima ballerina: an international star handpicked by the regime. But Sveta is afflicted with a mysterious second sight and becomes obsessed with exposing a horrific state secret. Then she disappears. Fearing for their lives, Marina and her father defect to Brooklyn. Marina struggles to reestablish herself as a dancer at Juilliard. But her enigmatic partner, Sergei, makes concentration almost impossible, as does the fact that Marina shares her mother’s ‘gift,’ and has a vision of her father’s murder at the hands of the Russian crooks and con artists she thought they’d left behind. Now Marina must navigate the web of intrigue surrounding her mother’s disappearance, her ability, and exactly whom she can – and can’t – trust.” (goodreads.com) The title pays homage to John Le Carre, perhaps the ultimate spy novelist. In the Age of Love and Chocolate, Gabrielle Zevin (November) – any book with the promise of chocolate should be worth reading, and particularly if you’ve read the other two in the Birthright series. “Now eighteen, life has been more bitter than sweet for Anya. She has lost her parents and her grandmother, and has spent the better part of her high school years in trouble with the law. Perhaps hardest of all, her decision to open a nightclub with her old nemesis Charles Delacroix has cost Anya her relationship with Win. Still, it is Anya’s nature to soldier on. She puts the loss of Win behind her and focuses on her work. Against the odds, the nightclub becomes an enormous success, and Anya feels like she is on her way and that nothing will ever go wrong for her again. But after a terrible misjudgment leaves Anya fighting for her life, she is forced to reckon with her choices and to let people help her for the first time in her life.” (goodreads.com) This dystopian series is really well regarded. 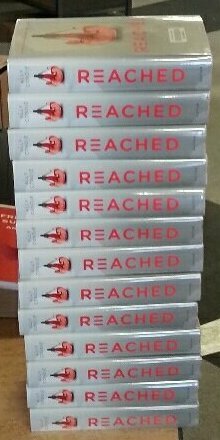 Reached by Ally Condie (conclusion to the best-selling Matched trilogy) has arrived! As you can see, we have many copies. This is necessary, because there’s currently 37 people patiently waiting. But not for long! Reserve it now, if you haven’t already.